Welcome to the office of Josie Dovidio & Sahar Yaftaly DMD. We are happy to be the family dentist for Simi Valley and Moorpark, CA since 2006. 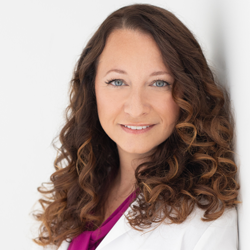 Dr. Josie Dovidio worked in dentistry in both high school and college and fell in love with dentistry as a profession. She has been a part of the Simi Valley community for many years and sees her patients as friends and family. Dr. Dovidio respects her patients’ dignity and worth and seeks to provide them with safe, effective treatment services. 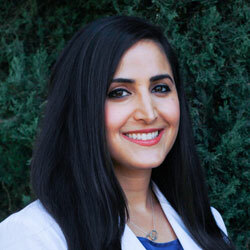 Dr. Sahar Yaftaly became passionate about dentistry when volunteering at the Free Clinic of Simi Valley, where she met her mentor Dr. Josie Dovidio. She grew up in Simi Valley and is honored to serve the community in which she was raised. She offers enthusiasm while providing quality comprehensive care. We present our patients with dental services covering preventive care, pediatric dentistry, mouth and night guards, fluoride varnishes, and sealants. Through digital x-ray technology, we can locate damage to your teeth more quickly and safely than with film x-rays, and you can relax with headphones we provide that allow you to listen to music or watch movies as your procedure is completed. If you would like to discuss dental care for yourself or your children or discuss a particular course of treatment, contact Dr. Dovidio/Dr. Yaftaly at our office. Our team will answer your questions and inform you of your options so that you can select the best course of action. We welcome children, and Dr. Dovidio/Dr. Yaftaly encourages you to bring them to visit when you come for an appointment. She will be happy to listen to any concerns you wish to share about their dental health and teach you how to care for their first teeth. We have a play area that has a toy box and books where children can play as you have a check-up or cleaning. New patients are always welcome, and we urge you to call us for an appointment if it’s been at least a year since you’ve had a cleaning or a dental examination. If you have an emergency, contact our office so that we can bring you in to see Dr. Dovidio as soon as possible. If your emergency occurs when our office is closed, please call the emergency phone number given on our voice messaging system to reach Dr. Dovidio/Dr. Yaftaly. Dr. Dovidio and Dr. Yaftaly's office is located on 2045 Royal Avenue, #109, just east of Erringer Road. We are just across the street from Simi Valley Community Church and just south of the Human Services Agency. If you aren’t certain if we are in your network, call us, and we can give you a detailed list of the plans we work with. We accept a number of different insurance plans including Dental Health Alliance, Dental Benefit Providers, Cigna, Delta, Metlife, Aetna, Blue Cross Blue Shield, Guardian, Connection Dental, GEHA, and Dentemax. This list is constantly being updated, so if you don't see your plan listed, call us anyway and we'll check out your benefits! We also take cash, credit (Visa, American Express, and MasterCard), checks, and CareCredit. So if you have recently relocated to the Simi Valley area and need a new dentist or if you’ve been living here a while and have decided it’s time for a change, welcome, and contact us. We are happy to meet new people and appreciate the chance to provide you with exceptional dental service. Dr. Dovidio is one of the 3 best rated dentists in Simi Valley!